Spark stitch markers are made exclusively for Jimmy Beans Wool! These gorgeous snag-free stitch markers are designed to fit up to size US 7 needles and come attached to an elegant pear-shaped locking stitch marker, which will fit up to size US 10 needles. A special set of stitch markers from our 2018 Mother's Day gift set! Each stitch marker set contains 1 exclusive heart charm stitch marker, along with 2 coordinating bead markers and a bulb marker holding them all together. 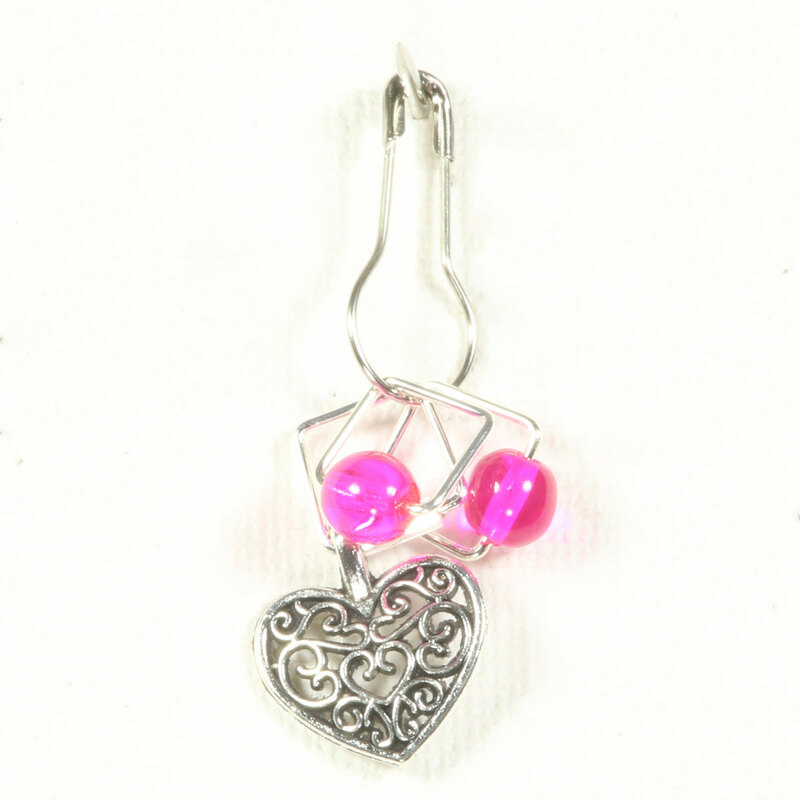 4 stitch markers: 1 heart charm stitch marker, 2 bead markers, and 1 bulb marker. Namaste Maker's Notions - Lotus Stitch Marker Set and Knitter's Pride Metal Stitch Markers - Linea are both similar accessories: stitch markers. Heidi and Lana Stitch Marker Necklace - Silver Surf From $18.20 to $26.00Select options on sale now!